The all-new Star Wars experiences at Disneyland park in Southern California will debut in the coming months. Beginning November 16th, Disneyland park guests will have the chance to jump to lightspeed with Season of the Force, featuring opportunities to meet some of your favorite Star Wars characters, experience an exciting twist on a favorite attraction and more. 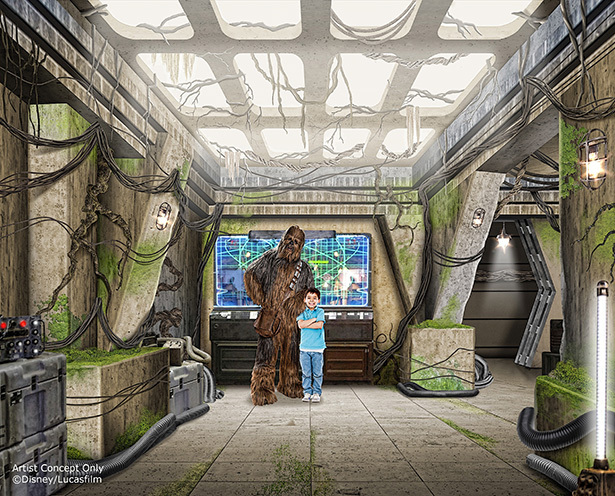 Disney Parks is also preparing to take guests to a galaxy far, far away with new Star Wars-themed lands. With groundbreaking scheduled to take place in 2016 for our largest single-land expansions ever, building the new 14-acre land will be a major project at Disneyland park in Southern California.